Here is your Baja Good Life Report for 05/19/2010. 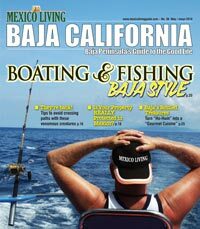 Please feel free to send us your ideas, comments, articles, and reports about Baja to bajareport@gmail.com. Gringos for Baja - UNITE IN PROTEST! May 22nd & 23rd is El Caballo Bookstore Openhouse & Book Sale! One of the things we most love about Mexico is that everything happening here is cause for celebration! So...in that spirit, let's celebrate summer! Summer, here in the Baja is a wonderful blend of laid back days...sun, water, and cerveza, iced tea (or a margarita) plus a good book (or two or three)! In Loreto, we have planned an "